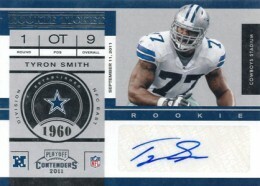 2011 Playoff Contenders Football has arrived with several short prints. Rookie Ticket autographed rookie cards, Rookie Ticket variations and signed Rookie Ink inserts all have limited cards. 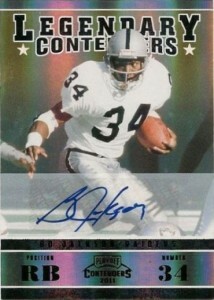 Below is the complete list of 2011 Playoff Contenders Football short prints as confirmed by Panini. Print runs are in parentheses. UPDATE: Legendary Contenders Autograph information added. This list refers to the variation Rookie Ticket autographs. 2012 CONTENDERS T.Y. TY HILTON RC VARIATION SP SSP 50 COLTS BGS 9 MINT! 10 AUTO! 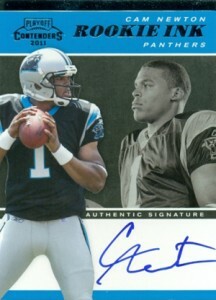 2011 Playoff Contenders Factory Sealed FB Hobby Box Cam Newton AUTO ROOKIE ?? ?